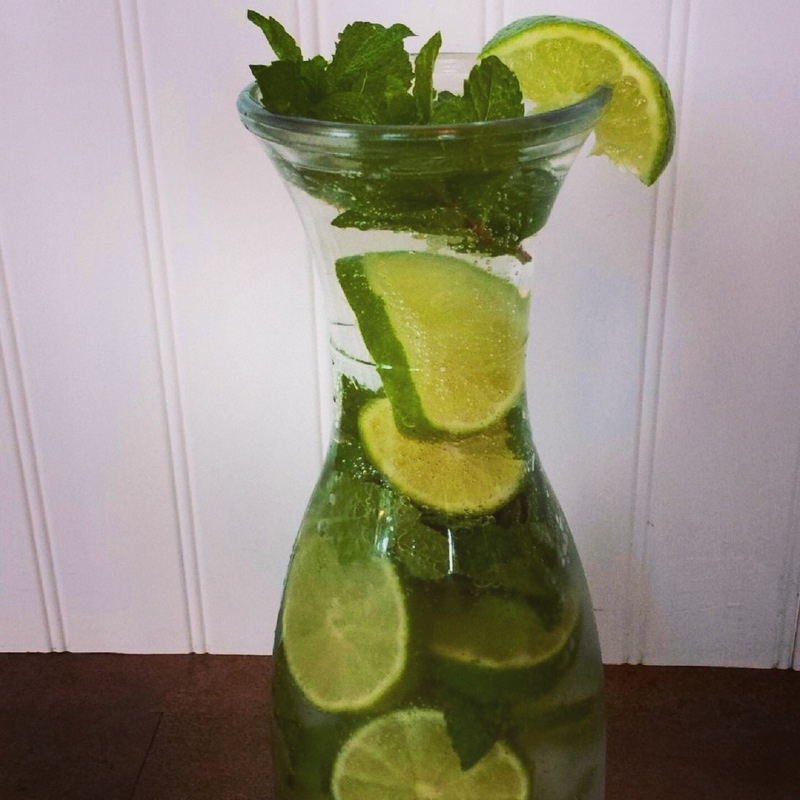 So today we are making a pitcher of our bubbly mojito inspired water! This is the perfect bubbly, refreshing treat to sip all summer (or fall!) long as it's simply made from sparkling water (we LOVE Pellegrino! ), a ton of fresh mint leaves and lime juice. This is one of our favorite mocktails as we do not like to drink our calories but completely agree that plain old ice water can get boring after a while! To make this, simply slice up one lime into wheels & add lime wheels and a large handful of mint to a glass pitcher. Pour in ice, sparkling water and add the juice of another lime. Stir to combine & enjoy!